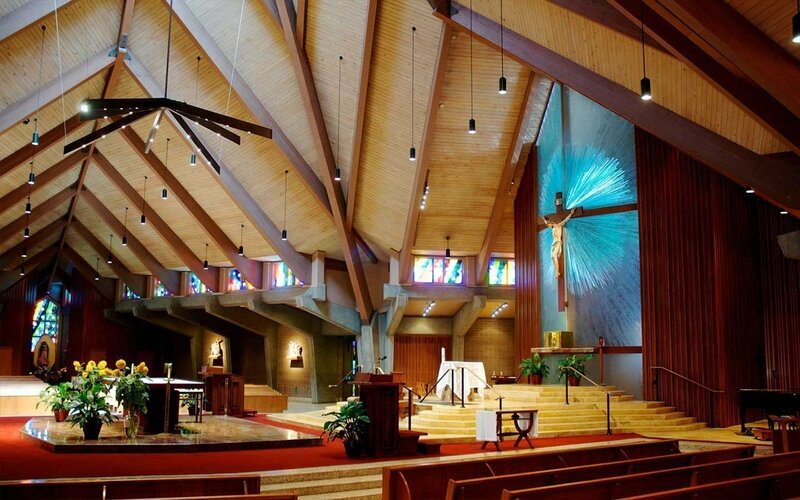 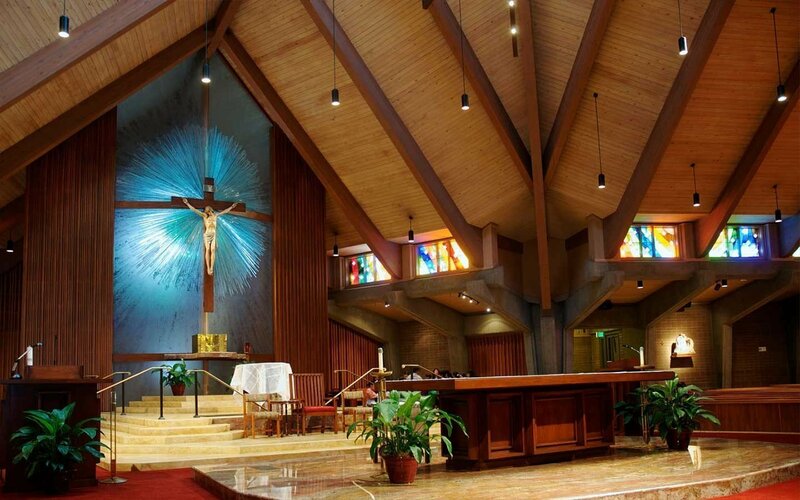 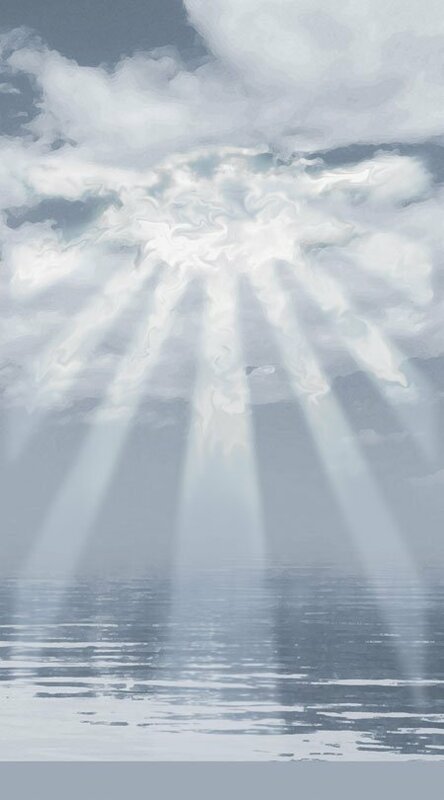 To create the design for the St. John The Baptist Catholic Church, Huether worked closely with Reverend Gordon Kalil. 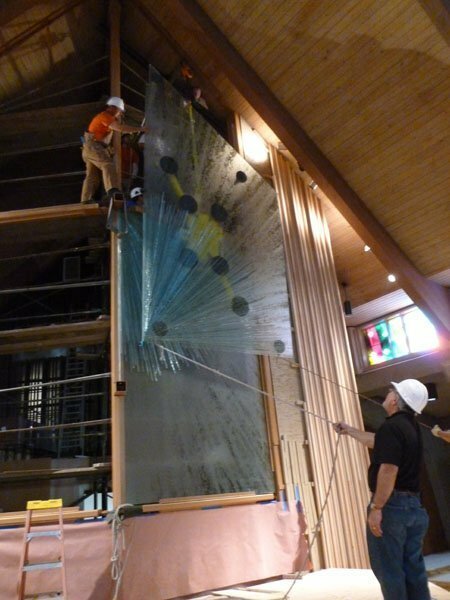 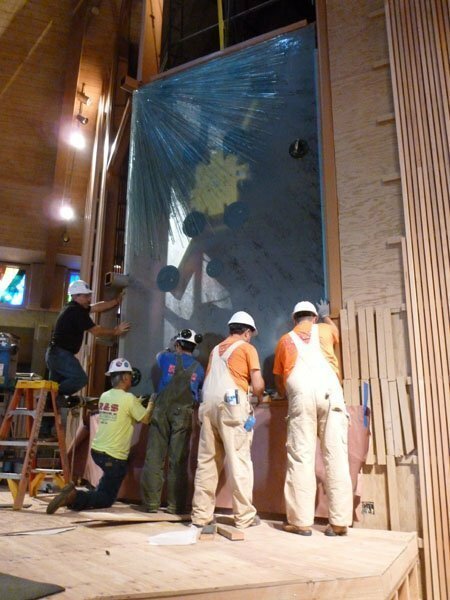 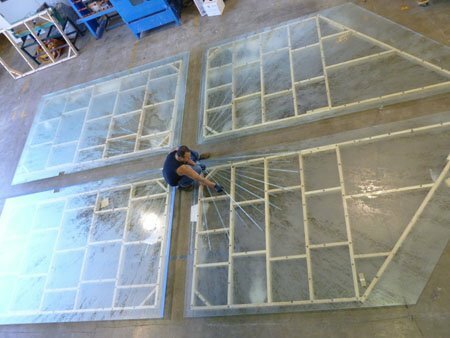 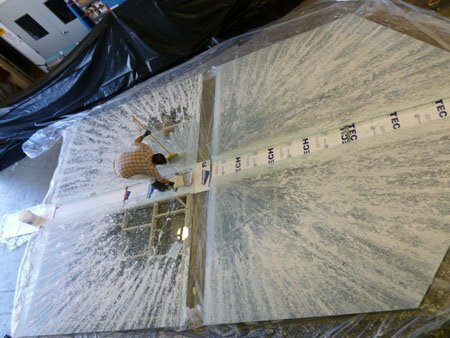 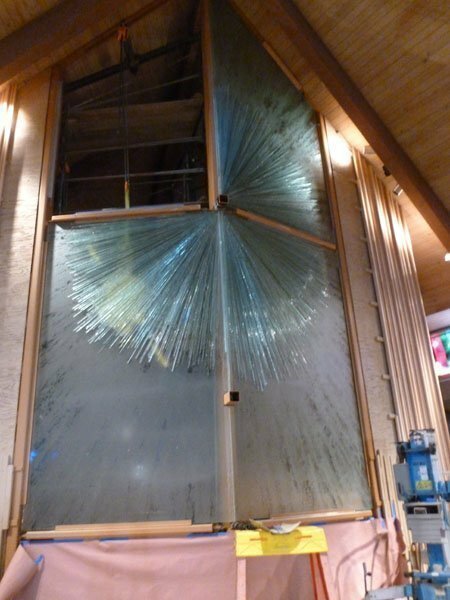 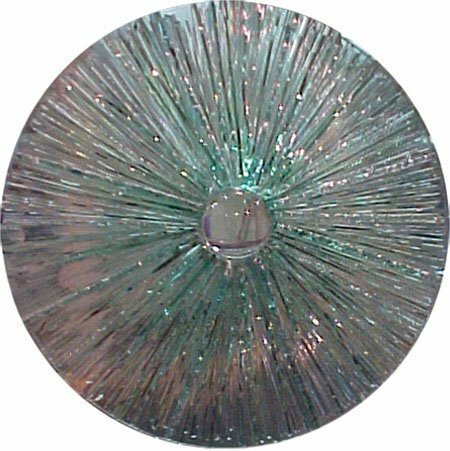 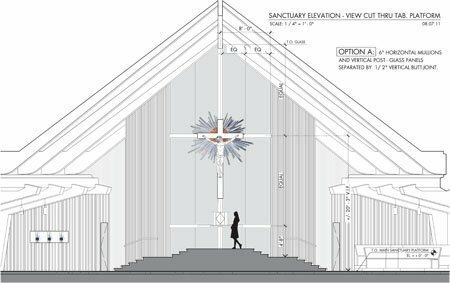 Goal of this sanctuary art glass installation was it to continue the contemporary feel of the church’s interior. 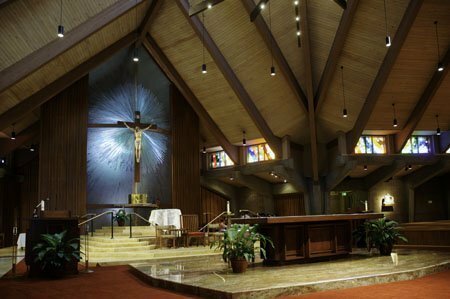 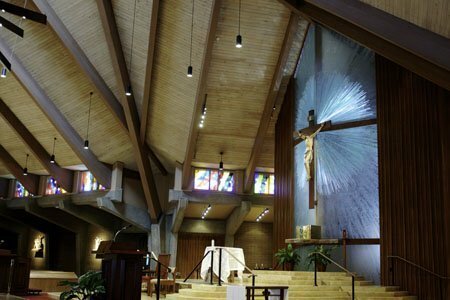 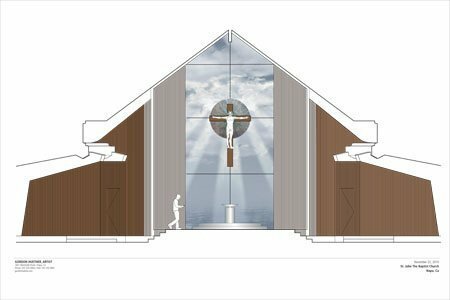 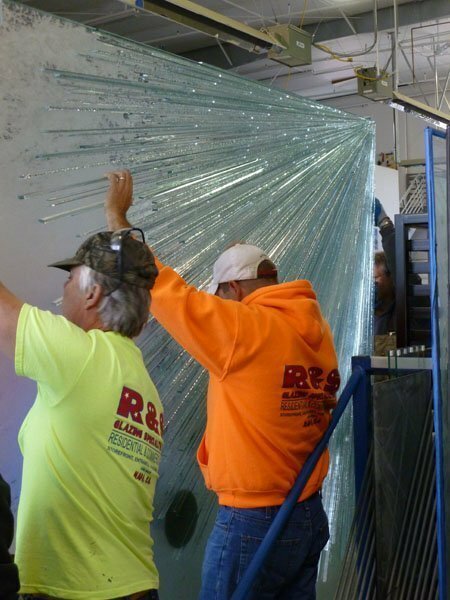 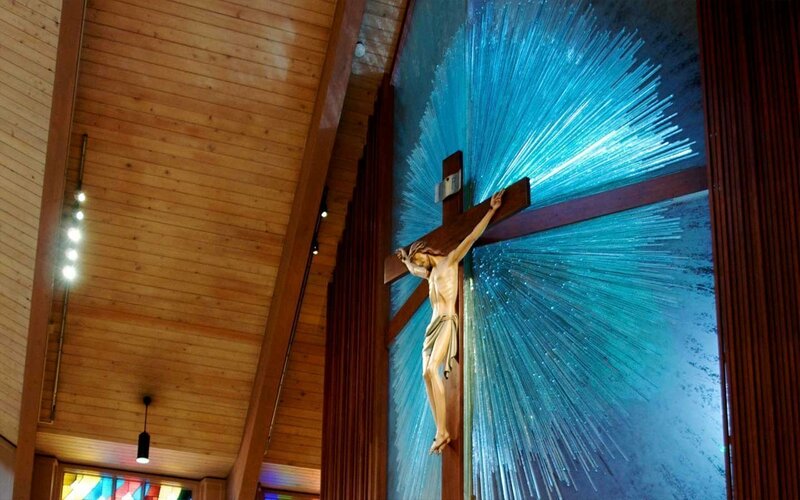 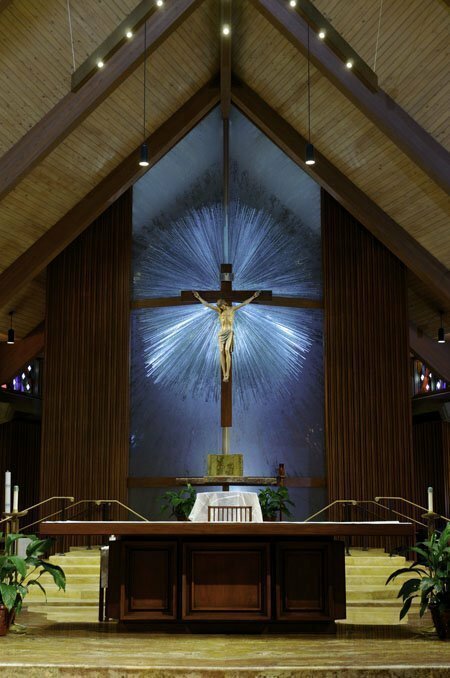 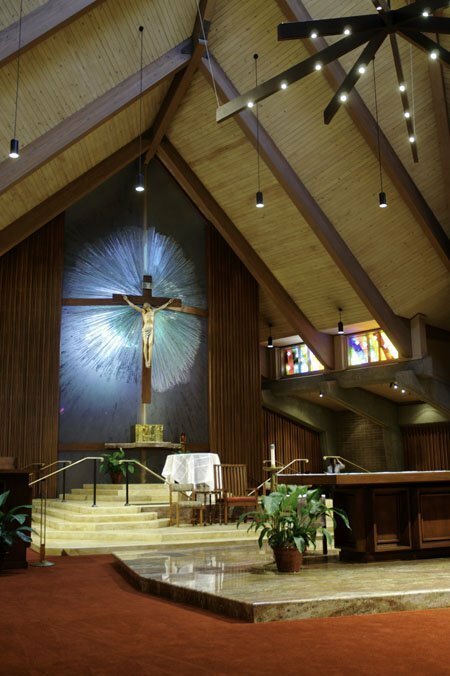 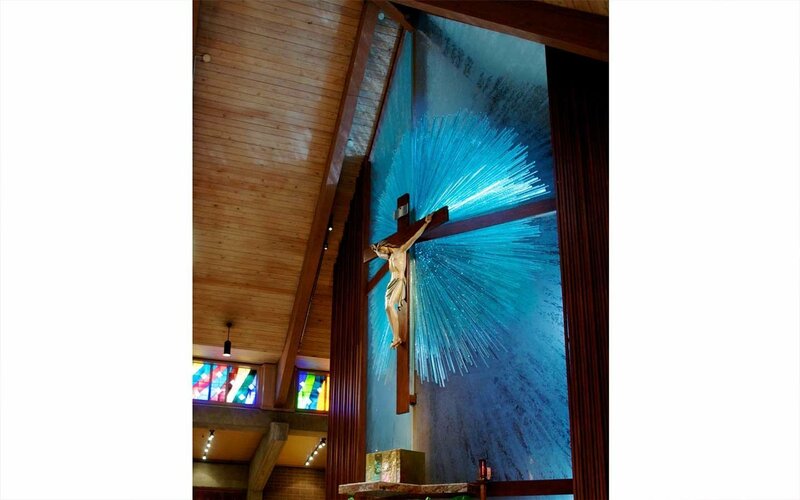 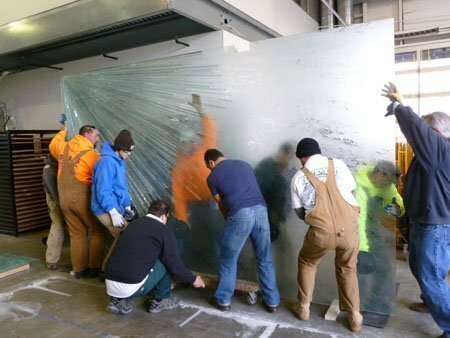 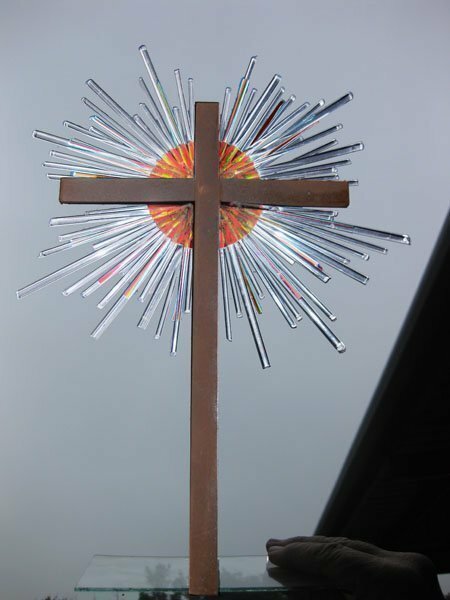 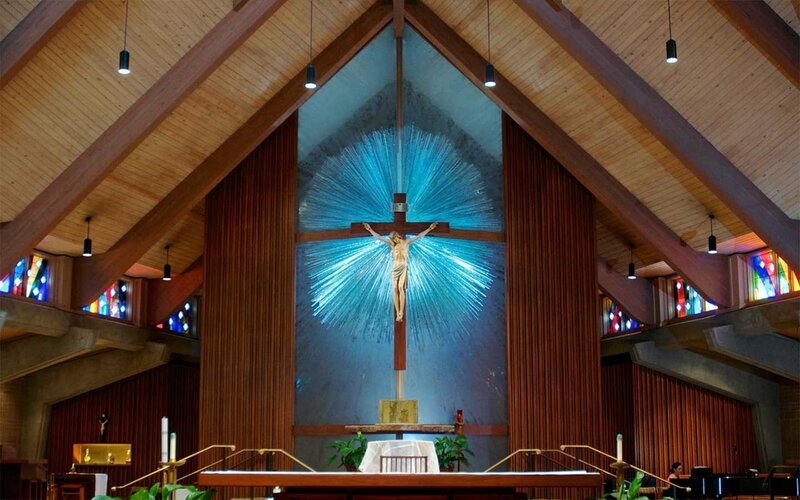 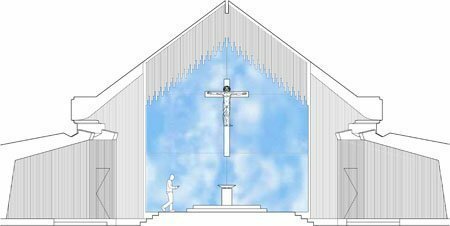 Using the existing crucifix from the St. John The Baptist church, and the traditional material glass innovatively and at a scale complementary to the interior architecture of the church, Huether succeeded to create an art glass installation that acts as the bridge to create an aesthetically unified house of worship.